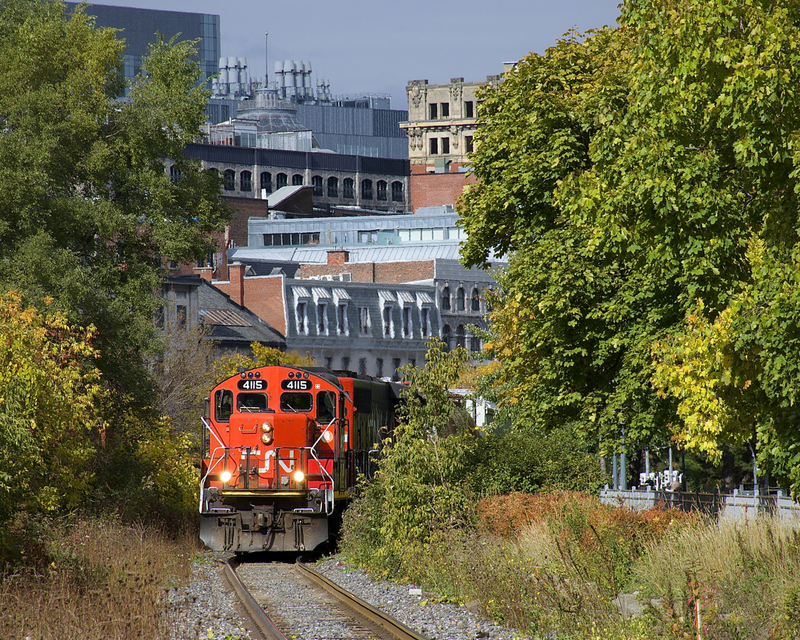 Railpictures.ca - Michael Berry Photo: CN 4117 & CN 9677 lead a transfer towards the Pointe St-Charles yard with cars received in interchange from the Port of Montreal. I was lucky to have the sun come out for a bit on a mostly cloudy day. | Railpictures.ca – Canadian Railway Photography – photographie ferroviaire Canadienne. Caption: CN 4117 & CN 9677 lead a transfer towards the Pointe St-Charles yard with cars received in interchange from the Port of Montreal. I was lucky to have the sun come out for a bit on a mostly cloudy day. Beautiful image. The background buildings make it truly special.